Even while he was working in marketing and advertising, JR dela Paz already knew that he wanted to become an entrepreneur. But the former waiter, who has a degree in hotel and restaurant management, also knew that he needed a novel and compelling product in order to break into the food industry. For inspiration, he first looked to his favorite food—burgers. It just so happened that his wife, Marge, has a special recipe for sausages. It didn’t take long for dela Paz to think of making sausage burgers. Thus, Size Matters was born, with the name inspired by the 12-inch Hungarian sausage offering. The name was more than apt: It had a hint of naughtiness for name recall, and it highlighted the brand’s promise of big flavors and big servings. But as the business grew, size mattered in a different way for dela Paz as an entrepreneur. 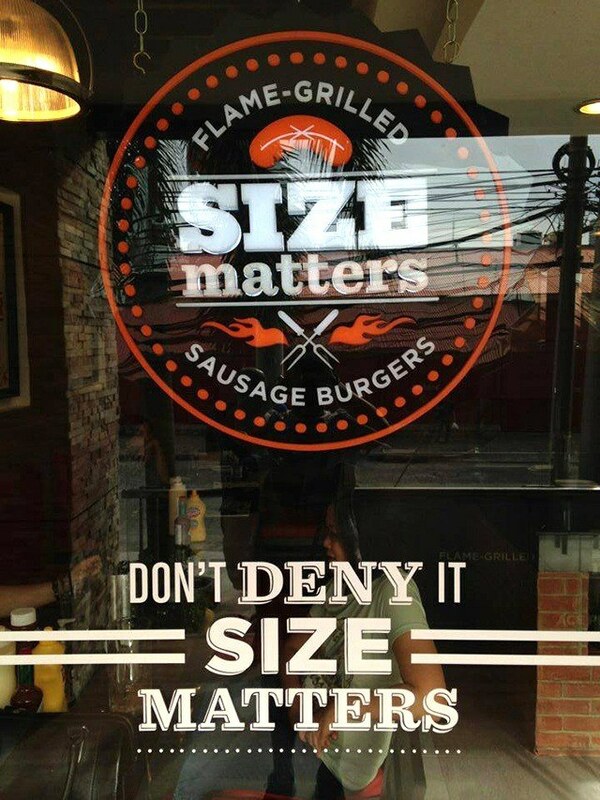 When Size Matters first opened in 2011, it only had a small branch in Quezon City. Since it was just promoting burgers and sausages at the time, or what dela Paz dubbed “cinema food,” he thought customers would just order food to go and not need seating—he thought wrong. Their regular customers started demanding a bigger location which further proved to him that, indeed, size does matter in the food industry. So dela Paz experimented with the location sizes for his food business: Size Matters started out as a take-out counter and then eventually evolved into a sit-down restaurant. For the young enterprise, dela Paz is now veering away from small locations, going for at least 25 square meters which can seat 18 people. After having three franchised outlets for Size Matters, franchise inquiries revealed another concern for dela Paz. “People come up to me and say they like the concept, they want to venture into a franchise business, but they can’t afford to invest more than a million pesos for a restaurant,” said dela Paz. In 2016, dela Paz launched a food cart concept called Jack’s Sausage Wagon, which specializes in authentic European sausages. It has all the elements customers have come to love about Size Matters—the big flavors and the big servings—but in a more compact setting. “I created this for the people who wanted to franchise the concept but just can’t afford the investment and commitment of a full restaurant,” said dela Paz. For dela Paz, this move made good business sense as he believes that it remains a largely untapped market. “I noticed that there’s still no solid sausage or hotdog cart in the Philippines. As a food entrepreneur, I am constantly looking for the next food trend. I want to start the next food trend in hotdogs and sausages,” said dela Paz. 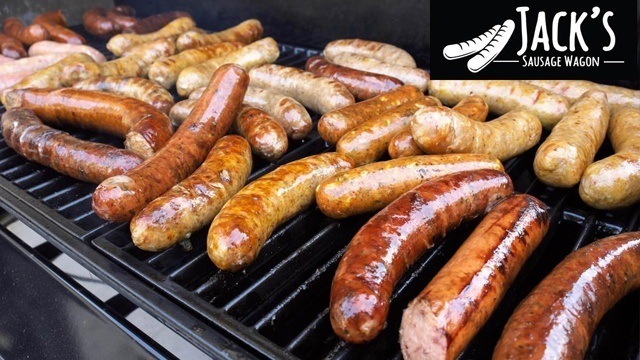 Jack’s Sausage Wagon’s franchise package, which has a smaller area requirement and set-up cost, makes it an attractive investment for aspiring franchisees. 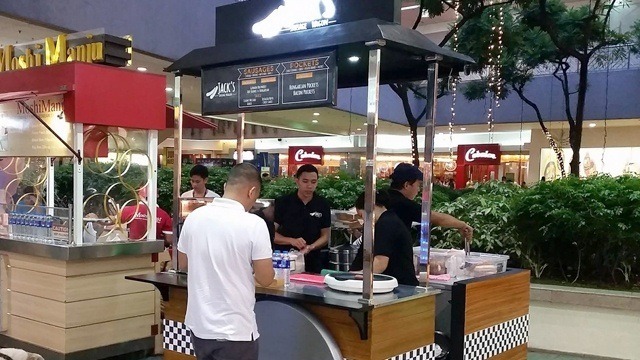 “It is also easier to find locations for food carts, especially in the major malls,” added dela Paz. For the next two years, dela Paz wants Jack’s Sausage Wagon to be a top food cart brand and the go-to place for affordable yet quality homemade European sausages—and he believes that the way to achieve this vision is through developing bite-sized packages that can grow through franchising. Finding the right franchise starts with education. U-Franchise Sales and Management conducts regular “How to Invest in the Right Franchise” seminars. For more information visit www.ufranchiseasia.com or call (02) 634-0586 or (0917) 881-6999.